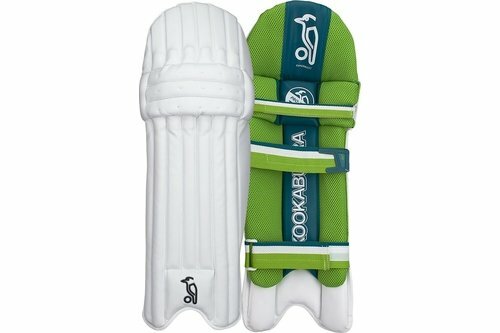 Kookaburra Kahuna batting pads offer a combination of traditional and modern materials that creates the ideal mix of playability and protection. Impact Protection - External: Lightweight Reversed Foam and Reinforced Cane rods and HDF Side Wing. Three Piece Knee Roll with Vertical Bolsters provides enhanced shape retention Impact Protection. Ergonomically Shaped Calf Straps to make fastening easier .